The cost of converting a loft vary from region to region within the UK and, of course, no two conversions are likely to be the same. Of course there are various reasons for converting the loft, usually to add more living space of course. But, there are other reasons and, arguably the most important, is that by building a loft conversion you should immediately add at least the amount you spend onto the value of your house. Figures from surveys consistantly show that a conversion which incorporates a bedroom and en-suite bathroom can add up to 20% to the value of your home. In London loft conversions usually cost up to £50,000 though throughout the UK the average seems to be around the £20,000 - £35,000 mark. These costs are when employing a specialist building company and they can be drastically reduced by doing some of the work yourself if you are handy at DIY. Much of course depends on the type of conversion. For example, a basic storage solution can often be done in just a day or two and there are some specialist loft conversion companies who will, for around £1000-2000, install joists, a new hatch, lighting and a loft ladder in just 24 hours. Storage loft conversion to include flooring, lighting and loft ladder £1000 - £2000. For the competent DIY enthusiast there are many companies who will provide a ‘kit’ for the homeowner to install himself with the builder tackling the big jobs such as installing the staircase, floor and roof light. These DIY kits typically cost from around £5,000 and do represent a huge saving on other loft conversion prices. Builders will also be able to quote for different parts of the job and, for example, a standard no-frills staircase can be built on site for as little as £500 and there are many companies around the UK who specialise in building loft stairs. Loft plans drawn up by an architect or other professional to be submitted as part of a building regulations application £400-£1500 dependent on the complexity of the project. The above loft conversion prices are a guide and adding extras will obviously increase the cost. Installing an en-suite bathroom for example would probably add £8-10,000 and extras such as insulating walls and ceilings would also add to the budget. Another thing to consider is that there are builders who will do loft conversions very much cheaper than the prices quoted above. Costs can be trimmed by not using exterior scaffolding, installing only one small roof light, compromising on materials and circumventing the building regulations. The advice on this site is to always do things by the book and to employ a specialist builder – but quality does cost more. Assuming that everything is more or less straight forward a specialist building company would probably quote around £19,000 for standard en-suite bedroom though, with extras, furnishings and finishing touches, this sum could easily double. 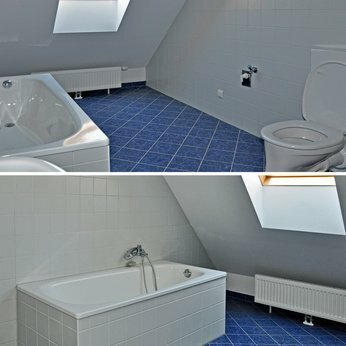 Of course there are so many things to take into consideration when thinking about loft conversion prices such as structural suitability, post code, current economic climate and the cost of materials and that prices can and will vary but, for a standard attic conversion, the above formula is pretty much on the mark. It is by no means cast in stone but, providing the project is well planned, well built and, most importantly, well designed than the cost of the loft conversion should easily be recouped in added value to the property. Estate agents and mortgage brokers regularly say that building an attic extension is by far the best home improvement project for adding value to a property. It is important to remember that a properties value is usually defined by the number of bedrooms in the house. By adding an extra bedroom (preferably en-suite) in the attic the homeowner is almost guaranteed to add value to the property. It is little wonder than that bedrooms are the most popular design for new attic rooms. 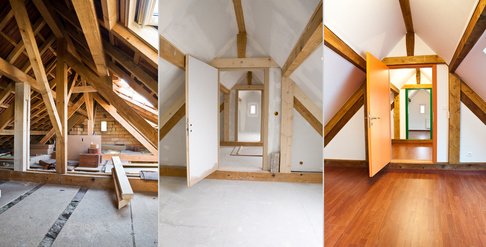 It is very important that the new attic room is designed to fit seamlessly into the existing design of the property. If the attic extension looks like a hurried or contrived bolt on addition than it is highly unlikely to add any value to the house. Because of this it is important to get the staircase right and the new attic room should, from the inside of the property, look as though it was there when the house was first built. Blanding in the new room to the existing property design will ensure that future potential purchasers will recognize the attic room as a valuable additional living space and will be more than willing to meet the cost. When obtaining a builders quote you need to know exactly what your loft conversions cost includes. Receiving a quote and actually digesting what it contains can be difficult as there will be plenty of technical detail in there but it is important that you dig through the bumpf and determine exactly what the quote does include. Naturally the first thing is that the quote should be in proper written form. Don’t ever accept a verbal quote or one scribbled on the back of a fag packet for that matter. 1) The builder is responsible for carrying out the requirements of the Party Wall Act and should give advance notice of the work to your neighbours. 2) Probably the most important part of the quote, aside from the bottom line figure, is that the contractor is responsible for complying with the loft conversion building regulations. This should include making the application, ensuring the applications success and Specify if the cost includes paying all fees. 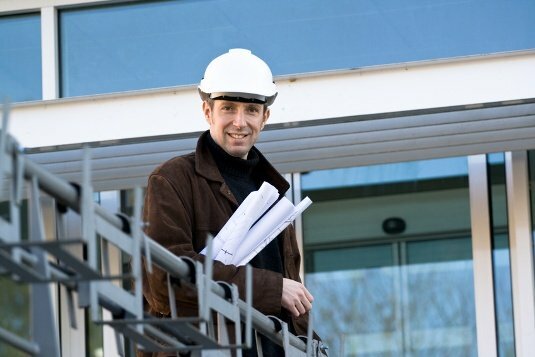 Hugely important is that the quote or final contract specifies that the work is only finished when the completion certificate is issued by the councils building control officers. 3) The design and preparation of the plans should be included unless of course you are employing an independent architect or designer. 4) The agreed start and finish date of the project should be specified. This is important as you should insist on penalty clauses being included should work drag on beyond the specified completion date. 5) A payment schedule. Always make sure that when and what you will pay is in black and white. Never, ever, pay in full up front and you should only pay for each batch of work when it is completed though an initial payment for materials is acceptable and normal. Making sure that all the above is included in the quote should ensure that your expenditure is kept under control and manageable. One of the best pieces of advice I have ever received was to add a 10% contingency fund to your budget. No matter how accurate your initial budget forecast and no matter how good your project management skills there will inevitably be unforeseen costs that crop up. By adding a 10% failsafe to your budget those unexpected additions to your loft conversion costs won’t throw a spanner in the works and will ensure that the project proceeds nice and smoothly. Suddenly a figure that seemed reasonable and within reach has taken on a whole new dimension. VAT is the scourge of us all and the levels payable for certain products are ambiguous and very confusing. And calculating the level of VAT on building work in general, and loft conversions in particular, is as confusing as any other area. But we’ll give it a go. Building work classed as maintenance or conversion is chargeable at the full rate of VAT – whatever that may be at any given time. Of course this will have a significant effect on the bottom line when it comes to working out the final loft conversion price though there are one or two exceptions to the full rate. Work on new builds does not attract any VAT charges whatsoever and conversions to listed buildings, if allowed by the planning department, is also charged at 0%. 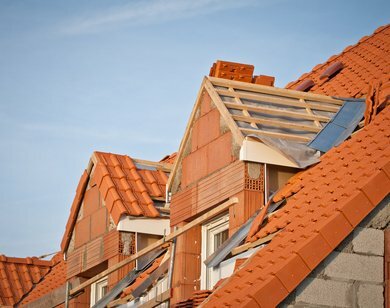 There is also different rates of VAT should you be building a loft conversion in a property that you have just acquired if has previously stood empty. If the property has been empty for ten years than there is no VAT chargeable with the rate set at just 5% if the house has been empty for more than three but less than ten years. Not suggesting anything illegal here but if you are using teams of contractors for different jobs, rather than one company to do everything, then those individual builders may not be registered for VAT. By carefully picking your contractors it may be possible to reduce the VAT on a total loft conversion price to very little or indeed nothing at all. A specialist loft conversion company though will need to charge VAT though arrangements may be made to pay the VAT on a staggered basis throughout the build or even to defer the VAT until the job has been completed. Unfortunately, some VAT is inevitable and you must be very clear from the outset the rates that you will be charged and for what jobs. Builders are very good at changing the subject when VAT is mentioned but, for your own peace of mind, it is imperative that the situation is clarified, in writing, before any work is done. Failure to take VAT into account can have a severe impact on your budget so ensure it is sorted out at the very start and not left to add a nasty surprise to the final amount that you are charged.